The Private Pilot license is the doorway to making your dream of flight a reality. Your Private Pilot License is where it all begins! This is the first step in becoming a pilot and learning the skills to command an aircraft. You are about to learn life altering skills that allow you to cruise the skies solo or take friends and family along for a flight. So what do you need to get started on your Private Pilot License course? Contact us by filling out the form below to find out more. There will be many "firsts" on your way to the Private Pilot License - first flight, first radio communication, your first solo flight and landing, first solo cross country ... the sense of achievement and satisfaction is equal to none. At Academy of Aviation, we operate both G1000 and traditionally equipped airplanes. Flying the Skyhawk G1000 is an experience of its own and you will most definitely feel on the cutting edge of what General Aviation has to offer. Now that you know you’re qualified to begin your Private Pilot Course, let’s review the Private Pilot License training requirements. What’s the difference between the two paths of training? Part 141 Private Pilot course training syllabi have been evaluated by the FAA and follow a strict protocol. Both the student and the flight schools must adhere exactly to what the FAA has approved so there are no variations in training. The benefit, you can obtain your FAA Private Pilot License in fewer hours, which means shorter training time and less money. Part 61 Private Pilot courses, in comparison, are simply more flexible in how the training is conducted but have a higher flight hour requirement. It should also be noted that some airlines and Civil Aviation Authorities in other countries require Part 141 training, so make sure you discuss your overall aviation career goals with our Admissions Team for guidance. You can read the FAA Federal Aviation Regulations for Part 61 and Federal Aviation Regulations for Part 141 in depth if you really want to understand the differences. 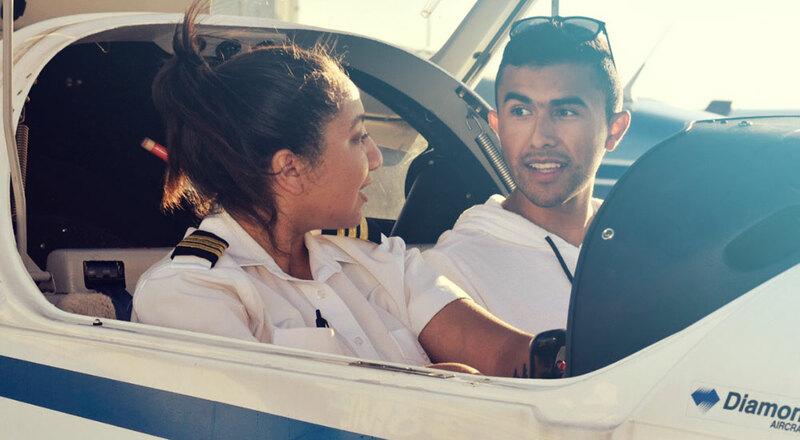 At Academy of Aviation, you have aircraft options to choose from based on your budget and preferred Private Pilot Course experience. Choose from our fleet of single engine aircraft which plane is right for you: Diamond DA-20, Cessna 172 with G1000 or Cessna 152. Cessna Pilot Center with glass cockpit and traditionally equipped airplanes. 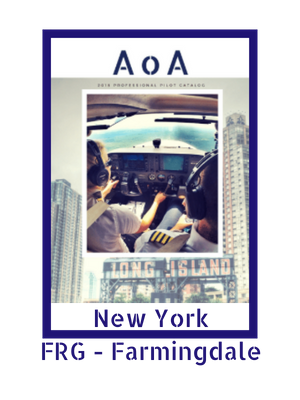 FAA Part 141 approved training facility (Farmingdale and White Plains locations). Full motion G1000 flight simulator. A mix of airspace - both student friendly and highly professional. Rental prices for your time building. Always available and well serviced airplanes. Academy of Aviation prides itself in offering accelerated Private Pilot License training for quick and efficient completion of your Private Pilot Course. How fast you finish is simple math. If you can take your checkride in 35-40 hours and you fly 5-6 hours per week you could finish in as little as 6 weeks! Of course, you must study hard, pass your FAA written exam, and dedicate yourself to learning for optimal results. Your progress is up to you! Not everyone is on a career path to work for an airline and we are also happy to accommodate busy work or school committments with flexible scheduling. 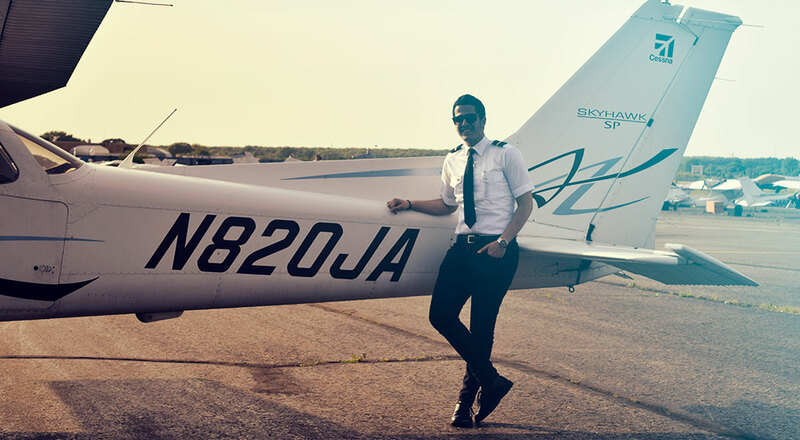 What Can I Do with a Private Pilot License? A FAA Private Pilot License allows you to fly throughout the United States and even internationally when you comply with the foreign country’s regulations. As a Private Pilot, you can carry passengers for fun but you can’t offer paid flight services. You can recoup operating expenses, such as fuel and tie down fees, from your passengers but you cannot charge them for the flight. Completion of your Private Pilot License grants you the privilege of flying anywhere under 18,000 feet, during the day and night, and the luxury of flying instead of sitting in highway traffic for business or vacation. Your only real restrictions are clouds and weather. Inclement weather that restricts your visibility, such as dense fog or heavy rain, should be avoided until you complete your Instrument Rating. With the additional Instrument and Multi-engine ratings you will be able to fly in most conditions that airline pilots do. During your Private Pilot Training you will learn about airspace, how an aircraft works, how to perform basic maneuvers, radio communications with Air Traffic Control, obviously takeoff procedures, and more importantly, how to land the aircraft, even in emergency situations. Like every successful pilot before you, it all begins with theoretical learning. Complete your ground school hours online or in a classroom setting with Academy of Aviation. Take advantage of simulator training to practice at a reduced cost. Make mistakes on the ground, learn from them, and try it again without the fear of being in the air. Listen to ATC communication as often as you can and practice your own responses. If English is your second language, Academy of Aviation uses simulator time to not only practice your flying skills but role play with your Instructor as ATC. Once you and your Flight Instructor are feeling confident with your performance in the simulator you’re ready for the aircraft. You will complete the required minimum practical training, as outlined in the Part 141 or Part 61 table above, in preparation for your checkride. A huge training milestone will be your first solo flight where you will have your first chance to fly by yourself! Your Flight Instructor will ensure you have mastered the necessary theoretical and practical skills necessary to pass your checkride with a designated FAA examiner and will provide you with an endorsement for your Private Pilot License checkride to be scheduled. The checkride consists of a verbal/oral exam in which you are asked questions about your theoretical knowledge and a flight exam to assess your skill level. You will be immediately notified if you have passed your Private Pilot License checkride or if you need to re-take a portion after some more practice. At Academy of Aviation we maintain a 92% first time pass rate for Private Pilot Course checkrides! You will be issued a printed temporary Private Pilot License until your physical card license is processed by the FAA and shipped to you in the mail. Congratulations, you are officially a Private Pilot graduate! Whether you are on the path to becoming a career pilot or wanting to fly only for fun there is a benefit of taking the next step and obtaining your Instrument Rating. For safety reasons alone and the ability to fly with fewer restrictions, it is worth getting your Instrument Rating.